Finding the perfect partner is no easy task, but finding the perfect wedding band comes with its own set of challenges. Luckily, JustMensRings.com carries a fashionable collection of wedding rings. 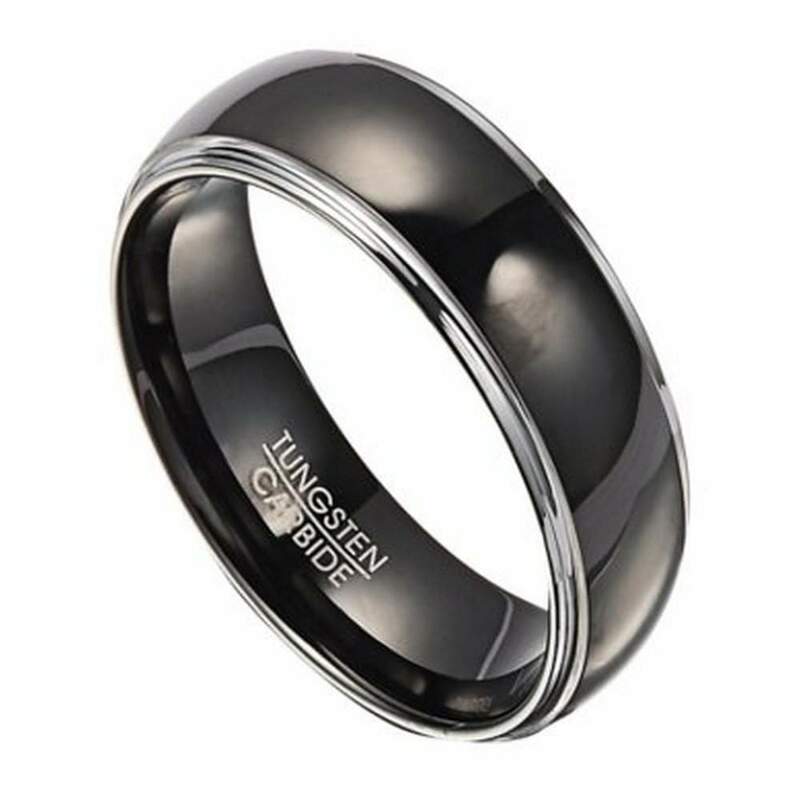 Our tungsten wedding band for men with polished black IP center may be just the solution to end your search. Simple yet elegant, your groom will be smiling cheek to cheek on your special day. Contemporary couples are turning to alternative metals without looking back, and tungsten carbide is a sophisticated choice for the modern man. With superior scratch resistance and a durable design that’s four times stronger than titanium, your groom will wear our 8mm tungsten wedding band for men with polished black ion plated center for a lifetime of love. Celebrate one of the greatest days of your lives by choosing our tungsten wedding band for men with polished black IP center. This designer ring features a polished center that’s framed with gleaming gunmetal edges for a ruggedly masculine aesthetic. Best of all, each 8mm tungsten wedding band for men with polished black ion plated center is designed in the comfort fit style. He can wear it all day long on the job, at the office, or at home without any inkling of irritation, because comfort fit rings are crafted with extra metal to create a domed interior profile. Comfort fit tungsten rings usually run 1/2 size larger, it is suggested you buy a half size smaller than your standard ring size. We recommend having your finger measured for a comfort fit ring at your local jewelry store for an accurate fit. All of our tungsten rings come with a lifetime warranty.